Anyone else wake up an hour early with nothing to do this morning? No, just me? So much for that extra hour of sleep I was so excited about! This weekend my husband and I ran some errands and it hit me that the holiday shopping madness is already here. If you've read this blog long enough you know that I love holidays. I love the festive decorations, dressing up, seeing family, all of that jazz. But there are a few things that drive me up the wall... including the fact that one day into November the lines at Target were already 6 people deep. I swear I thought they were giving something away and I was missing out. Has everyone started their Christmas shopping already? All I wanted was some damn face cream and toilet paper. My second gripe is that stores open at 6 p.m. on Thanksgiving day. Does anyone else think that is totally ridiculous? I think its so sad that employees can't enjoy their holiday. Finally, this is the season where I eat massive amounts of food that aren't even proportional to my body size. I'm not sure how all of the turkey, carbs, and pumpkin pie fits but I generally make sure I gain a solid 5 pounds every year and that's before Christmas cookies. That being said, I'm so glad the holiday season is here and can't wait to deck out our house in Christmas colors and lights Clark Griswold-style. Until then, I updated some of our fall decor and I'm really looking forward to getting cozy with the hubs and Ruby by the fire with some hot chocolate and/or wine. Subway Art. Felt Ball Garland. Paper Straws. You know I love laurels, so I had to implement them in my Thanksgiving chalkboard design! Our felt foliage garland also made a comeback and I'm loving how it looks doubled up with my West Elm garland! Speaking of Thanksgiving, it sounds like many of you are interested in linking-up to share your favorite Thanksgiving recipe so I'm happy to say, it's a go! I will have the link-up live next Tuesday, November 12th and it will be open for a few days. I will also have a button available by the end of this week for you to share on your page so stay tuned! I can't wait to see what everyone's favorite dishes are! your chalkboard is awesome - I may have to copy that! 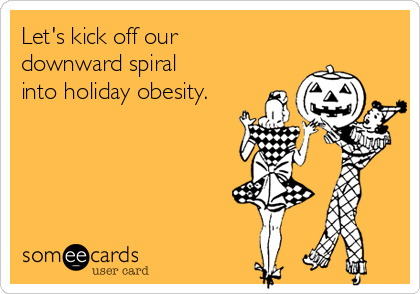 I am obsessed with the holidays and will make sure I gain at least 5 lbs as well, but I bet I could do more! yeah I think 5 pounds was on the low end for me.. haha! Go for it with the chalkboard, it wasn't too bad but I did get bored with all of the leaves! Those printables are adorable! Thanks for sharing! Definitely feel free to copy my chalkboard, my design is like a mish mash of others I've seen around the web anyway! :) And thank you!! Yes I started shopping a couple weekends ago and I started my homemade gift which is vanilla extract this year. Ever year I try to make something homemade, one year I made spaghetti noodles and homemade sauce. One year I made cookies. Homemade is the best! Only 50 more days til Christmas! Yay for Fall decor! I have the same Subway Art :) And your chalkboard skills...amaze. I am loving the felt with the leaves!! I am so not ready for holiday shopping. I am going to try and bust most of mine out online. I love this time of year too! I already have started my Christmas shopping. I like to be done Thanksgiving weekend even though I always have a few more extra gifts to get. I've started my Christmas shopping only because I live 10+ hours away from my family and will only be there for Thanksgiving this year. It saves a lot of money if you don't have to ship gifts! I don't decorate for Christmas until after Thanksgiving is over. Then everything stay up until Valentine's Day. Good luck during this time of year! I love your leaf banner. you always have the cutest decorations! I seriously wish you could come over to my house and help me with mine. And yes, this is the best time of year. I love Christmas!!! 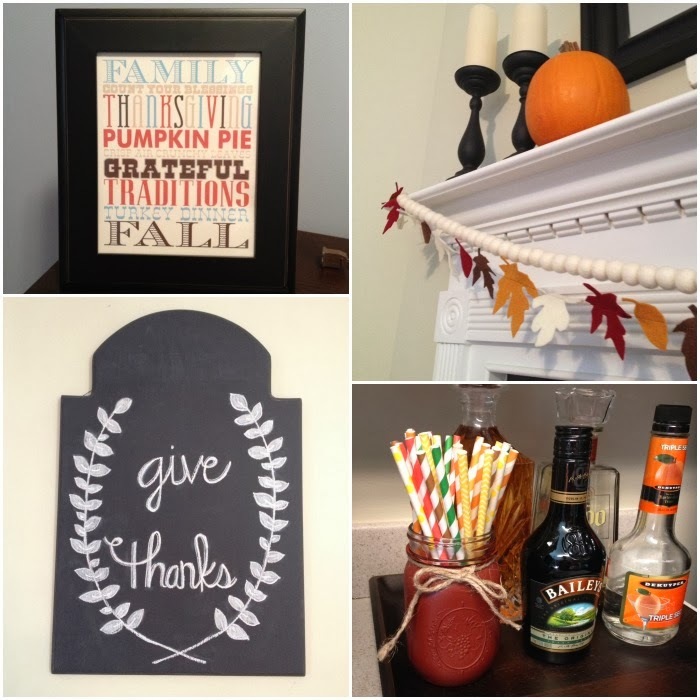 Love, love, love the Thanksgiving chalkboard design! Excited about the link up! Am I crazy if I love the holiday madness? !